Thuja 'Green Giant' Trees are great for creating a privacy fence or making a property line. Simply plant them 5 feet apart and you'll quickly have a natural privacy fence. 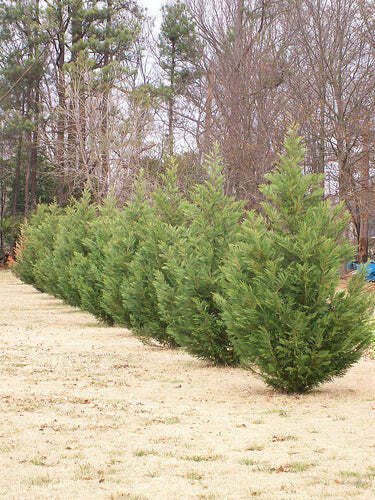 Thuja's are great for zones: 5,6,7,8. This privacy plant helps block out eye-sores, neighbors, street noise. 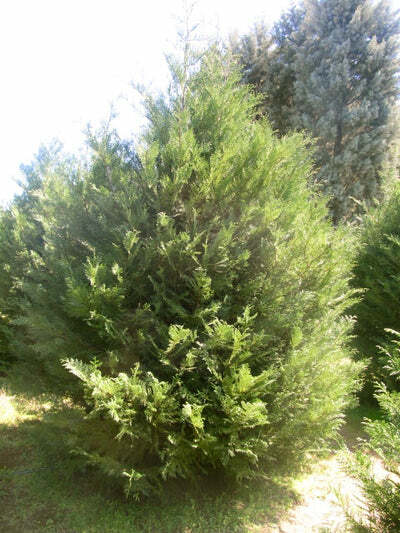 Don't be fooled, this is the real Thuja 'Green Giant' that grows up to 5 feet per year! The Thuja 'Green Giant' is a hybrid cross between Thuja plicata and Thuja Standishii Arborvitae. If you want this plant for privacy we recommend spacing the trees 5 feet apart this will insure they grow together while maintaing a healthy habitat for the trees. For more planting information read our Thuja 'Green Giant' planting spacing and planting instructions. 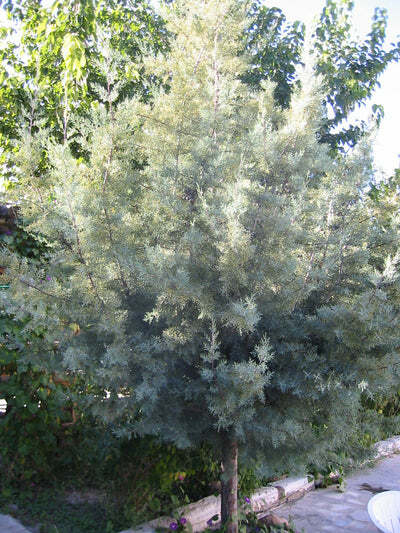 The best time to plant Thuja 'Green Giant's is during the spring but many zones can plant in the fall as well. Hardiness is an important factor of any plant purchase; Thuja 'Green Giant' are known for being very hardy plants. How your plants will be shipped via UPS. Recommended planting zones for Thuja 'Green Giant' Arborvitae Trees. We recommend that gardeners look at our planting instructions for the Thuja 'Green Giant's if you are interested in using them for a live privacy fence or natural privacy barrier. Don't just take our word for it. 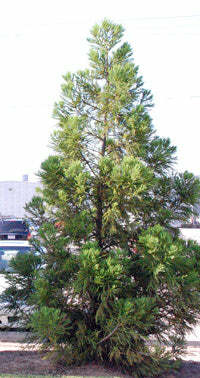 We sell quality trees. "I got my 'Green Giant's from this company 3 yrs ago. Over 100 of them and only lost 1. They are doing wonderful over 9 ft. tall now. This company had the best price and their service was great. It was my 1st internet order and I was a little (real) leery of what might happen. Talked to your dad on the phone and he assured me everything would be o.k. Tell all my friends that I got them over the internet and they are amazed!! THANK YOU ANYTHING GREEN for being so honest. (Posted on 8/19/09)"
"Very satisfied! The Thuja 'Green Giant’ look healthy and are doing well. I bought some from you last year, too, that are healthy and beautiful! Thank you! (Posted on 11/9/09)"
7 years of shipping Thuja 'Green Giant's. I'm glad to see you are interested in our Thuja ‘Green Giant'. We strive to offer the best plant at the best price and and we will be glad to add you to our list of thousands of happy customers. 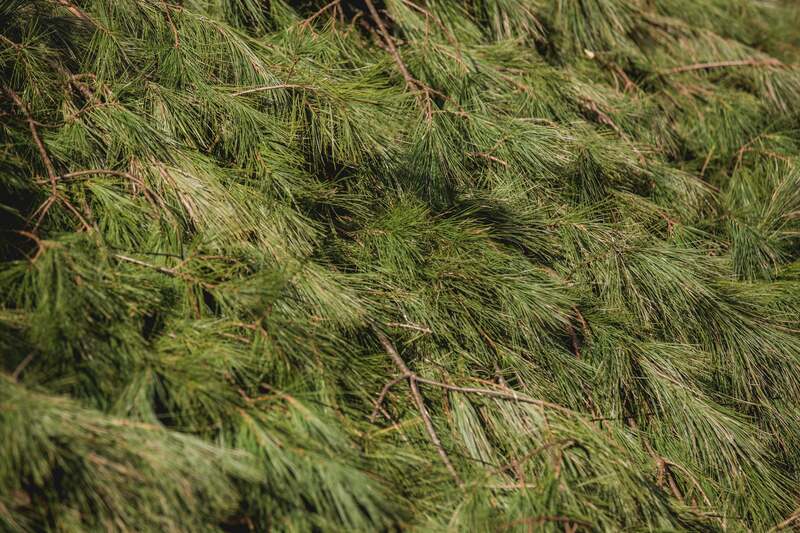 Thuja Green Giants typically grow to be about 10-12 feet wide at maturity. Most people use Green Giants as a privacy screen. To acheive a quick privacy screen plant your trees 5 feet apart. This is the healthiest space to acheive quick privacy. Planting any closer could be unhealthy for the plants as they grow together. Example of Thuja Green Giant Single Row Spacing. Many homeowners want to create very quick privacy so they plant their trees closer together. This is unhealthy for the plants as it causes over crowding. If you have enough space you can get the same effect but without the side effects of planting too close together. Simply plant two rows of trees and stagger the rows. We recommend 8 feet between each plant and 4 feet between rows but you can experiment with this. Just makes sure that each tree is 5 feet away from another. Example of Thuja Green Giant Staggered Row Spacing. Dig hole about 2 inches wider and deeper than rootball of your plant. Place plant in hole a fill in with soil. Some soils e.g. clay will need potting soil or fine mulch mixed in. Sprinkle one tablespoon of lime around the drip line of the tree. 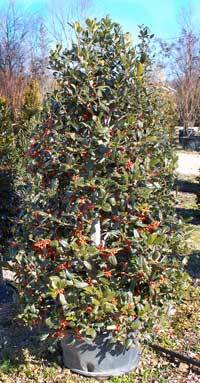 Water until soil is saturated; then gently apply pressure around the tree to make the mud "squish" around the plant. Carefully follow fertilizer instructions from figure below. Find a slow release fertilizer marked with the numbers 14-7-7. Sometimes this is marked as Azalea Food. If you cannot find 14-7-7 find a slow release with less than 19% or less Nitrogen and half the amount of phosphates and Soluble Potash. Fertilize your plants only 3 times a year. Best dates to fertilize are March 31, June 30, and September 30.